ww2dbaseIn 1936, the tension between the left-wing Republicans and right-wing Nationalists broke out into a civil war in Spain when the Nationalists sparked off their rebellion on 17 Jul. The cities of Seville, Pamplona, Cádiz, Jerez de la Frontera, Córdoba, Zaragoza, and Oviedo all fell under Nationalist control quickly, but Republicans fought off rebel attempts to control Barcelona and the capital Madrid. This rebellion was originally led by José Sanjurjo, but when he died in a plane crash merely three days after the initial actions, General Francisco Franco took over this rebellion of nationalists, fascists, monarchists, and many members of the religious right whose safety were threatened by the anti-clerical Republican government. ww2dbaseWhile this brutal war (in which mass-murder of civilians was not unheard of) waged on, the regional conflict posed significant consequences in the European political theater. Bathed in a pacifist dream, Britain froze all Spanish assets in Britain as a sign of neutrality. This dealt a severe blow to the Republicans as the incumbent rulers of Spain held large gold reserved in Britain that they now needed to fund the fighting. Britain had also banned the export of weapons into Spain, which again hurt the Republicans more than the Nationalists. Germany and Italy, on the other hand, did the exact opposite. Against the 21 Feb 1937 ban of League of Nations on "volunteer" units in the Spanish civil conflict, Benito Mussolini sent 60,000 of his men to fight as volunteers for Franco, which stirred violent protests among Spanish Republicans who viewed it as an Italian invasion. Germany, too, took the chance to export artillery, armor, and aircraft, all accompanied by German technicians. Spain became a proving ground of new weapons; it was Spain where Alfried Krupp's 88mm anti-aircraft flak guns discovered their usefulness as anti-tank and anti-infantry weapons. The Russians, too, brought in their weapons, though on a far smaller scale compared to the German and Italian involvement. Russian men and weapons fought on the side of the Republicans, where the I-15 and I-16 flew against German fighters and bombers, developing tactics that would later be used during the German invasion of Russia. ww2dbaseIn the sea, foreign weapons fought in this Spanish conflict as well. German naval forces had a strong presence on the Spanish coast, including many submarines, or U-boats. Many U-boat captains became trigger-happy, torpedoing neutral British and French civilian ships that ventured into their patrol zones; pacifist Britain merely wrote off these losses as losses of "unknown origins", avoiding any kind of involvement in the Spanish Civil War. Prime Minister Neville Chamberlain of Britain was one of those who wished to stay clear of the war, fearing that if Britain held Germany responsible for these losses, Anglo-German relations would be damaged. In the fall of 1937, however, the Royal Navy began performing depth charge attacks against U-boats that had targeted British ships, joined by 80 French destroyers. This "open piracy", as described by Anthony Eden, was finally under control. ww2dbaseAn indicative foreshadowing of the upcoming world war was the 27 Apr 1937 bombing of Guernica, where nine waves of German Heinkel bombers systematically destroyed the town with 550lb bombs; many European cities would suffer similar fates a handful of years later. Germany was free of any responsibility for the destruction of Guernica, for the German pilots wore Spanish uniforms. 1,654 civilians died in Guernica. ww2dbaseUnlike most British politicians at the time, Winston Churchill was vocal regarding this war. Although he despised communists, he was fearful of the fascist state Franco would establish if he was to win the war. He paid particular attention to Adolf Hitler's involvement in the war, and was deeply troubled by the increasing cooperation between Germany and Italy. He noted the recent conflicts in Abyssinia, Rhineland, and Spanish were not regional conflicts, but rather they "involve the whole structure of Europe, with possibilities of realignment carrying the promise of deadly danger to England." By mid-Feb 1939, the last Republican strongholds of Barcelona and Catalonia both fell. Churchill was unable to persuade his colleagues in the parliament, and Britain, immediately followed by France, recognized Franco as the legitimate ruler of Spain on 27 Feb 1939. 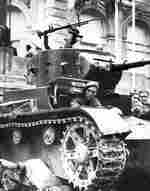 It took the Nationalists another month to clear all fighting from Madrid; victory was proclaimed by Franco on 1 Apr. During the war, between 300,000 and 1,000,000 people, both military and civilian, were killed. The Spanish economy lay in ruins while Franco continued to imprison, exile, and execute his political opponents. Looming on the horizon was the fear that Germany would soon have a new fascist ally. 12 Jul 1936 In Spain, Calvé Sotelo, a well-known monarchist, was murdered by Republican storm troopers, and passions were roused to even greater fury when, at the funeral, police opened fire, killing four of the mourners. 15 Jul 1936 Fal Condé, leader of the ardent Catholic Carlist movement in Spain, agreed to call out his 8,400 strong Requetés Militia to support the Nationalist cause. 18 Jul 1936 Throughout Spain and Spanish Morocco military garrisons (aided in place by the Guardia Civil and the Falange) rose in revolt against the Republican Government. 19 Jul 1936 The insurgent Spanish Nationalists succeeded in seizing power in Morocco, Navarre, Galicia, Old Castile, and Seville, but were thwarted in the key cities off Barcelona and Madrid. Santiago Casares Quiroga of the Left Republican Party resigned from the post of Prime Minister of the Republic; President Manuel Azana asked Diego Martinez Barrio, a member of the Republican Union Party, to form a moderate government which could negotiate with the rebels; when Barrio was unable to form a government which enjoyed and real support he resigned. Professor Jose Giral of the Republican Party would replace him and ordered that arms be distributed to the workers. 20 Jul 1936 When it became apparent that the rising in Madrid, Spain had failed, the Nationalist supporters in Toledo (40 miles to the south-west of the capital) occupied the Military Academy in the Alcazar fortress. The garrison was mainly drawn from the local Guardia Civil and Falange, and was commanded by the Commandant of the Academy, Colonel Jose Moscardo. For two months the defenders held out against the Republican Militia units besieging them, and were finally relieved when troops from the Army of Africa, led by Colonel Jose Varela, stormed into Toledo. The relieve of the Alcazar Academy did much to enhance General Franco’s reputation, but the diversion of Varela’s troops from the advance on Madrid gave the capital’s defenders further time to prepare their defences. On this same date, in Madrid, Spanish Prime Minister Giral appealed to the French Socialist Government (whose Prime Minister was Leon Blum) for arms supplies as the Nationalists appealed to Germany and Italy. Finally, the nominal leader of the rising, General Jose Sanjurjo, was killed when the aircraft bringing him from Portugal to Burgos, Spain crashed on take-off. 21 Jul 1936 El Ferrol, the main naval base in the north-west of Spain, surrendered to the Nationalists. As a result the Nationalists acquired battleship Espana, cruiser Republica, cruiser Admirante Cervera, destroyer Valesco, and two under-construction cruisers Baleares and Canarias. 22 Jul 1936 A German businessman from Spanish Morocco met Adolf Hitler in Bayreuth, Germany and handed the German leader a letter from Francisco Franco requesting German resistance in the Spanish Civil War. Meanwhile, Franco's Nationalist forces captured Alto de Leon to the north-west of Madrid, Spain. 25 Jul 1936 The COMINTERN agreed to send volunteers and funds to aid the Spanish Republic. 27 Jul 1936 The airlift, which was to carry the Army of Africa from Spanish Morocco to Spain, began when German and Italian transport aircraft arrived in Spain’s North African territories. 9 Aug 1936 A Spanish Republican expeditionary force of Catalan and Valencian troops, commanded by Air Force Captain Alberto Bayo and Guardia Civil Captain Manuel Uribarri, landed on the iland of Ibiza, Spain in the Mediterranean Sea. With the help of local people the expeditionary force quickly overcame the Nationalist garrison, and the island returned to Republican rule. 11 Aug 1936 The Spanish Nationalist gunboat Eduardo Dato was sunk at Algeciras, Spain by the Republican battleship Jaime I. 13 Aug 1936 The Spanish Republican battleship Jaime I was damaged by a Nationalist air attack off the coast of Malaga, Spain. 14 Aug 1936 Spanish Nationalist forces, drawn from the Army of Africa and led by Colonel Juan Yague, captured Badajoz, Spain. The two parts of Nationalist Spain were now linked. 16 Aug 1936 Spanish Republican Catalan troops led by Captain Bayo landed on Majorca, Spain and by the evening had advanced eight miles inland from their landing place at Porto Cristo. 16 Aug 1936 The first five CV 35 tanks arrived at Vigo harbour, Spain, as the first step in the Italian involvement in the Spanish Civil War. 24 Aug 1936 The new Soviet Ambassador, Marcel Rosenberg, arrived in Republican Spain. He was accompanied by a large number of Soviet "advisers". 28 Aug 1936 Spanish Nationalist aircraft bombed Madrid, Spain for the first time. 3 Sep 1936 Spanish Republican Catalan troops on Majorca, Spain, faced by a much stronger Spanish Nationalist Garrison (than that on Ibiza) under the command of Colonel Garcia Ruiz, were thrown back by a counter-attack supported by Italian fighters aircraft and bombers. The Republican force rapidly withdrew to the beaches and, covered by the guns of the battleship Jaime I, re-embark aboard the ships which had brought them. Meanwhile, on the mainland, Nationalist forces captured Talavera de la Reina. 4 Sep 1936 Francisco Largo Caballero (the leader of the Socialists) became Spain's Prime Minister. His Government was a coalition of Socialists, Communists and Left Republicans. 5 Sep 1936 The Spanish Nationalists closed the border between the Basque Provinces in Spain and France when Irun was captured by troops led by Colonel Alfonso Beorlegui. 6 Sep 1936 Italian aircraft arrived in Majorca, Balearic Islands, Spain and set up bases from which to bomb Spanish Republican positions. 9 Sep 1936 The Non-Intervention Committee met for the first time in London, England, United Kingdom. It was created to prevent personnel and matériel reaching the warring parties of the Spanish Civil War. 13 Sep 1936 The Spanish Nationalists captured San Sebastian, Spain. 16 Sep 1936 The Spanish Nationalists captured Ronda, Spain. 19 Sep 1936 The Spanish Republican submarine B6 was sunk by Nationalist naval forces, led by the destroyer Velasco, off Cape Penas near Santander, Spain. 29 Sep 1936 The Spanish Republican destroyer Almirante Juan Fernandez was sunk by the Nationalist cruiser Canarias during a naval battle off the coast near Gibraltar. 6 Oct 1936 Francisco Franco decided that the time was ripe for an attack on Madrid, Spain and entrusted the task to José Enrique Varela, the most dynamic Nationalist commander, who was fresh from his Toledo triumph. His force of 10,000 men was to be divided into four columns; two of which under Juan Yagué (now recovered from his "collapse with exhaustion") would advance along the Toledo-Madrid road, while Varela would take the other two columns along the Mérida-Madrid road. A subsidiary force of 5,000 men under General Valdes Cabanillas was ordered to make a diversionary attack from the west across the Sierra Guadarrama. 10 Oct 1936 The Spanish Republican Government announced the creation of the Popular Army. This was to incorporate both the Army units which had remained loyal to the Government and the Party Militias. 12 Oct 1936 The first Soviet aid to the Spanish Republicans arrived. Meanwhile, the Republican submarine B5 was sunk by Nationalist aircraft off the coast near Malaga, Spain. 29 Oct 1936 Soviet tanks and aircraft appeared in the front-line for the first time in the Spanish Civil War. Meanwhile, German and Italian bombers began a series of raids on Madrid, Spain in the hope of destroying civilian resistance. 2 Nov 1936 The Spanish Nationalists captured Brunete near Madrid, Spain. 4 Nov 1936 The Spanish Nationalists captured Getafe near Madrid, Spain. 6 Nov 1936 Expecting Madrid to fall at any moment, the Spanish Republican Government moved to Valencia, Spain. A defence Junta under the leadership of General Jose Miaja was organised for the last-ditch defence of the capital. 8 Nov 1936 The Spanish Nationalists were now poised to make an all-out attack on Madrid in the hope of capturing the Spanish capital and thus ending the war. General Emilio Mola ordered Colonel José Varela to attack the north-west flank of the Spanish Republican defences. Most of the Nationalist troops involved being drawn from the Army of Africa. 15 Nov 1936 The German Condor Legion went into action for the first time, supporting further Nationalist operations to capture Madrid. 16 Nov 1936 Spanish Nationalist Colonel José Varela's troops had forced a bridgehead over the River Manzanares en route to Madrid, Spain. They would capture almost three quarters of the University City in the coming week before being stopped by Spanish Republican militias. 18 Nov 1936 Italy and Germany officially recognized General Franco's government in Spain. On the same day, Benito Mussolini authorized an Italian expeditionary corps to be sent to Spain. 23 Nov 1936 The Spanish Nationalist attack toward Madrid had stalled, but the Spanish Republican forces were exhausted as well. Althought Nationalist Colonel José Varela had failed in his primary mission of capturing Madrid, the Nationalists now held areas in the northwest of the city, and it was becoming increasingly obvious that further frontal attacks upon Madrid would be both costly and likely to fail. 6 Dec 1936 Spanish Nationalist aircraft bombed Barcelona, Spain. 13 Dec 1936 With the frontal attack on Madrid, Spain having failed, the Spanish Nationalist forces attempted to tighten their siege by cutting off the capital from the rest of Republican Spain. José Varela launched an offensive to cut the Corunna Road which ran for 25 miles north of Madrid. 21 Dec 1936 The Spanish Republican submarine C3 was sunk by an Italian submarine off the coast of Malaga, Spain. 22 Dec 1936 The first 3,000 Italian Blackshirts arrived in Spain as volunteer fighters. They were originally organized in battalion-sized units, but would later be re-organized as three divisions after the arrival of more men and equipment. 3 Jan 1937 Spanish Nationalist forces captured a seven-mile stretch of the Corunna Road north of Madrid, Spain. For the following 12 days, Spanish Republican forces would attempt to counterattack to regain the road, with high casualties on both sides, ending in a stalemate. 17 Jan 1937 With the arrival in Spain of the Italian volunteers the Spanish Nationalists now felt confident to mount an offensive on the southern provinces of Republican Spain. Three Nationalist columns converged on Málaga; The Army of the South (General Gonzalo) advanced from the west, whilst from Grenada, to the north of the city, advanced Colonel Antonio Muñoz Jiménez. The third column, attacking from the north, consisted of the Italians of General Mario Roatta. Although large numbers of Republican troops were available to defend Málaga, they were badly organised and were steadily forced back over the course of the following two weeks. 3 Feb 1937 Spanish Nationalist and Italian volunteer forces reached the outskirts of Malaga, Spain. 6 Feb 1937 Spanish Nationalist forces entered Malaga, Spain as Republican forces fled toward Almeria. At Madrid, the Nationalists under General Luis Orgaz renewed the attempts to capture the city; this time they concentrated their efforts on cutting the Valencia road where it ran through the Jarama valley to the southeast of the city. General Sebastian Pozas led the Republican forces at Madrid. 8 Feb 1937 Falangist troops captured the city of Málaga, Spain during the Spanish Civil War. 11 Feb 1937 General Luis Orgaz's Spanish Nationalist forces drove off General Sebastian Pozas' forces eastward across the River Jarama near Madrid, Spain. 15 Feb 1937 In order to restore the situation General Jose Miaja took over personal command of the dispirited Spanish Republican troops on the Jarama Front near Madrid, Spain. 21 Feb 1937 The League of Nations Non-Intervention Committee banned foreign nationals from fighting in the Spanish Civil War. 24 Feb 1937 When the fighting on the Jarama Front near Madrid, Spain finally came to an end, the Spanish Nationalists had driven a salient into the Republican front-line, but had failed to cut off Madrid. 7 Mar 1937 Benito Mussolini's Blackshirts, now formed into two divisions and supported by 250 light tanks and 180 guns, their right flank supported by a mixed brigade of regulares, Requetés and Falangists began their advance aiming for Guadalajara, Spain to the northeast of Madrid, Spain on the main Madrid-Saragossa highway which was allotted as their main approach axis. 8 Mar 1937 Spanish Nationalist forces threatening Madrid, Spain were ordered to attack around the northeast of the city in an attempt to cut it off from the rest of the Republic. Two Nationalist armies advanced towards Guadalajara, which was 34 miles from Madrid, and pushed back the inexperienced Republican troops which faced them. 10 Mar 1937 At Guadalajara, Spain, the Spanish Nationalist invasion force attacked in two columns. The right-hand (or western) army, which was commanded by General José Moscardó Ituarte, had little trouble in forcing the opposing Republican troops back, but the left-hand (or eastern) army, which was composed of Italian volunteers and led by General Mario Roatta, experienced stiffening resistance after their capture of Brihuega on this date. 15 Mar 1937 Italian General Mario Roatta halted his advance on Guadalajara, Spain to regroup. 18 Mar 1937 Spanish Republic forces under Colonel Enrique Jurado Barrio launched a counter-attack against Italian troops near Guadalajara, Spain. Two divisions, assisted by Russian tanks and aircraft, fell on the leading Italian units. The ferocity of the counterattack surprised the Italians and their retreat rapidly became a rout. General José Moscardó Ituarte's Nationalist troops, previously advancing steadily, was forced to fall back as the Italians lost Brihuega. Although the Nationalist attack on Guadalajara had gained some ground when the battle finally ended, it had failed to achieve the decisive result which had been hoped for. Also on this date, the Italian Blackshirt Division 'Dio lo vuole' in Spain was disbanded; later in the year, the remaining two divisions of Blackshirts were also disbanded and reorganized into three Italian-Spanish brigades. 31 Mar 1937 Bombers of the German Condor Legion in Spain, under the command of Lieutenant-Colonel Freiherr von Richthofen, bombed the mountain strongholds of the Republicans, not easily reached by artillery, and battered the key village of Ochandiano before it was quickly taken by the Army of Navarre. In the same region, the Spanish Nationalist forces, commanded by General Emilio Mola y Vidal, began an offensive against Basque forces in Vizcaya with the intention of capturing the Basque stronghold of Bilbao. 20 Apr 1937 In Spain, two Anarchist battalions, who were dissatisfied with their movement's representation in the Republican Government, went on strike and pulled out, leaving a 15-mile gap in the front line in front of the little town of Marquina directly east of Guernica. Von Richthofen, commanding the German Condor Legion, quickly realised that if the gap was exploited, the Republican Forces in the area would be forced to withdraw and could be trapped if the single bridge at Guernica was destroyed by bombing. 26 Apr 1937 Operation Rügen: German and Italian bombers attacked the Spanish city of Guernica, killing between 200 and 1,000 civilians. 28 Apr 1937 Basque forces, fighting on the side of the Spanish Republicans, surrendered at Durango and Guernica, Spain. 30 Apr 1937 The Spanish Nationalist battleship Espana sank after hitting a mine off Cape Penas near Santander during the blockade of Bilbao, Spain. 7 May 1937 The German Condor Legion Fighter Group, equipped with He 51 biplanes, arrived in Spain to assist Francisco Franco's forces in the Spanish Civil War. 31 May 1937 The Spanish Republicans began an offensive to capture Segovia, Spain. Three Republican Divisions, under the command of General Domingo Moriones, broke through the Spanish Nationalist front-line at San Ildefonso and captured La Granja. Nationalist troops, led by General José Varela, were detached from the Madrid front and used to mount a counter-attack which stopped any further Republican advance. 3 Jun 1937 Spanish Nationalist General Emilio Mola y Vidal was killed in an air crash and was replaced by General Fidel Dávila Arrondo. 11 Jun 1937 Basque forces withdrew behind the "Ring of Iron" defences around Bilbao, Spain as Nationalist forces pressed on with their attacks, but these proved to be less than effective when subjected to heavy artillery bombardment. Under cover of the bombardment, the Nationalists were able to breach the outer defences and the "Ring of Iron" collapsed. 13 Jun 1937 During the night, most of the civilian inhabitants of Bilbao, Spain were evacuated by the Basque forces. 17 Jun 1937 The Spanish Republican battleship Jaime I blew up and sank at Cartagena, Spain. 18 Jun 1937 General Mariano Gamir Ulibarri and his troops abandoned Bilbao, Spain. 19 Jun 1937 Spanish Nationalist forces entered Bilbao, Spain. 6 Jul 1937 After the failure of the Spanish Nationalist attack upon Guadalajara the Spanish Republican troops around Madrid went on to the offensive. General José Miaja ordered two Republican Corps (led by Generals Juan Modesto and Enrique Jurado) to advance southwards from the El Escorial-Madrid road towards Brunette. Their aim was to cut off those Nationalist forces besieging Madrid from the west. At the start of the 20-day battle that ensued, the initial thrust captured Brunette and drove a 5 mile salient into the Nationalist front-line. The Nationalist armies, under the command of General José Varela, then rallied and mounted a counter-attack which forced the republicans almost all the way back to their start line. 6 Aug 1937 Falangist artillery bombarded Madrid, Spain during the Spanish Civil War. 14 Aug 1937 After capturing Bilbao the Spanish Nationalist forces in the north of Spain switched their offensive towards Santander. The Nationalists, who were led by General Fidel Dávila, advanced westward through the Cantabrian Mountains. Spanish Republican resistance was weak, despite the large number of troops General Mariano Gamir Ulibarri had under his command, because of poor training and a shortage of weapons. 23 Aug 1937 Near Santander, the Basque forces in the Spanish Republican army surrendered to General Ettore Bastico, and seeing that further resistance was impossible, Ulibarri abandoned his remaining troops and flew to safety in France. This left Santander, the objective of the Spanish Nationalist offensive, nearly defenseless. 24 Aug 1937 Spanish General Sebastián Pozas’ Republican Army of the East commenced an offensive into Aragon from Catalonia with the object of capturing Saragossa. The Spanish Nationalist forces of General Miguel Ponte were pushed back in the north and south of the River Ebro over the course of the next month, but the Republicans were unable to dislodge them from the area around Saragossa, nor to capture Huesca (in the north) or Tereul (in the south). By the end of Sep 1937 the offensive had ceased to have any impetus and effectively grounded to a halt. 25 Aug 1937 The Spanish Nationalists captured Santander, Spain almost unopposed. 1 Sep 1937 With the capture of Bilbao and Santander the only remaining Spanish Republican stronghold in the north of Spain was Gijón and its surrounding area. The Spanish Nationalists, led by Generals Antonio Aranda and José Solchaga, launched an offensive through the mountains of Leon and along the coast from the east to capture Gijón. General Aranda's forces, however, were unable to break through the mountain passes, which were strongly held by Asturian troops, until a Navarrese force, under General Solchaga's command, captured the village of Infiesto a month later, thus outflanked the mountain defences and forced the Asturians into a retreat. 5 Sep 1937 Spanish Nationalist troops captured the city of Llanes, Spain. 20 Oct 1937 The Spanish Republican submarine C6 was scuttled at Gijón, Spain after suffering damage during a Spanish Nationalist air attack. 21 Oct 1937 Spanish Republican-held stronghold of Gijón surrendered, allowing the whole northern coast of Spain to pass into Nationalist control. In Gijón harbor, the Spanish Republican destroyer Ciscar was sunk Nationalist aircraft. 27 Oct 1937 Republican forces in Spain set fire to their fuel reserves in Gijon, Spain to avoid Nationalist capture. 5 Nov 1937 35,000 Republican supporters were massacred in Piedrafita de Babia, Spain. 30 Nov 1937 The Spanish Republican government moved from Valencia to Barcelona. 15 Dec 1937 In Spain, in order to pre-empt a Spanish Nationalist attack upon Catalonia, two Spanish Republican armies (led by Generals Hernández Sarabia and Leopoldo Menendez) launched an offensive to capture the city of Teruel, surrounding the city by nightfall. The city's garrison commander Colonel Rey d’Harcourt would hold out in the southern part of the city until early Jan 1938. 29 Dec 1937 Spanish General Franco ordered Generals José Varela and Antonio Aranda to mount a counter-attack to relieve the defenders at Teruel, who were surrounded by Spanish Republican forces. Appalling winter weather, however, hampered their advance, although this move nearly placed the Republicans in a siege situation themselves. 8 Jan 1938 Short on supplies, Spanish Colonel Rey d’Harcourt surrendered Teruel to Spanish Republican forces. 7 Feb 1938 Spanish Nationalist cavalry attacked the Spanish Republican forces to the north of Teruel, Spain. 17 Feb 1938 Spanish Nationalist General Juan Yagüe's Moroccan forces crossed the River Alfambra in Spain, effectively cutting off Teruel from the north. 20 Feb 1938 Spanish Nationalist forces had almost surrounded Teruel, Spain and the Spanish Republican armies were forced to retreat along the Valencia road to the southeast, leaving the Nationalists free to take the city. 1 Mar 1938 40,000 ZB vz. 24 rifles, T-26 tanks, and 76mm French-made artillery pieces departed aboard French freighter Gravelines from Murmansk, Russia for deployment in the Spanish Civil War. 6 Mar 1938 The modern Spanish Nationalist cruiser Baleares, which was escorting a convoy of merchant ships off the Mediterranean coast near Cartagena, Spain, was sunk by torpedoes launched by Spanish Republican destroyers during the Battle of Cape Palos. 9 Mar 1938 With the failure of the Spanish Republican attack upon Teruel the Spanish Nationalists were now able to launch a new eastward offensive towards Aragon and Levante in Spain. The intention was to cut Republican Spain in half. The assault was launched with General Fidel Dávila in command. 16 Mar 1938 Italian aircraft based in Majorca began a three-day around-the-clock bombing campaign on the Spanish city of Barcelona. Meanwhile, Spanish Nationalists forced the Spanish Republicans to retreat up to 60 miles during the offensive toward Aragon and Levante in Spain. 3 Apr 1938 Lerida, Catalonia, Spain surrendered to Spanish Nationalist forces. 15 Apr 1938 Vinaroz, a village about half-way between Valencia and Barcelona on the Mediterranean coast of Spain, was captured by Spanish Nationalist forces, thus cutting Republican Spain in half. 1 May 1938 Spanish leader Dr. Negrin tried to sue for peace but General Franco demanded nothing less than unconditional surrender in the Spanish Civil War. 14 Jun 1938 Spanish Nationalist forces captured Castellon de la Plana, Spain, 40 miles north of Valencia. Spanish Republican resistance was, however, increasing and the Nationalists brought the offensive to a halt in order to allow time for their troops to rest and re-equip before the attack on Valencia. 15 Jun 1938 The Spanish Republican gunboat Laya was sunk by Spanish Nationalist aircraft at Valencia, Spain. 24 Jul 1938 In Spain, in order to relieve pressure on the Madrid defences and to divert the Spanish Nationalist offensive directed at Valencia, Spanish Republican General Juan Modesto's newly formed Republican Army of the Ebro launched an offensive across the River Ebro. Initially the attack forced the Nationalists, commanded by General Juan Yagüe, to retreat, but after having advanced up to 25 miles in places, the Republicans dug in to await the Nationalist counter-attack. 21 Sep 1938 Spanish leader Dr. Negrin announced, in a speech to the League of Nations, that the International Brigades were to be withdrawn from the fighting. 22 Sep 1938 The International Brigades fighting in the Spanish Civil War were withdrawn by the Spanish Republicans from the front-line prior to them being repatriated. 9 Oct 1938 The Spanish Republican submarine C1 was sunk by Spanish Nationalist aircraft at Barcelona, Spain. 30 Oct 1938 Spanish Nationalist forces launched a massive attack near River Ebro in Spain. 15 Nov 1938 The International Brigades paraded through Barcelona, Spain before being disbanded. 18 Nov 1938 Spanish Nationalist forces pushed Spanish Republican forces back across the River Ebro in Spain. 23 Dec 1938 Having cut the Spanish Republican forces into two the Spanish Nationalists now launched an offensive against Catalonia. A frontal assault by six Nationalist armies proved too much for the already exhausted Republicans, who would soon retreat towards Barcelona. 30 Dec 1938 The Spanish Republican destroyer Diez was damaged by the Spanish Nationalist cruiser Canarias off the coast near Catalon Bay, Gibraltar. The Diez was so badly damaged that she had to be beached to stop her sinking. She was later towed to Gibraltar and remained there, interned, until the end of the war. 4 Jan 1939 Borjas Blancas, Spain was captured by Spanish Nationalist forces during the eastward Republican retreat towards Barcelona, causing the retreat to become a rout. 14 Jan 1939 Tarragon, Spain surrendered to Spanish Nationalist forces. 24 Jan 1939 Spanish Nationalist forces were within three miles of Barcelona, Spain. At this point the Spanish Republican government, led by Dr. Juan Negrín, fled to Girona, Catalonia, Spain. The Republican troops in Barcelona continued to maintain a token resistance. 26 Jan 1939 Nationalist forces occupied Barcelona in the Spanish Civil War. 5 Feb 1939 Spanish Nationalist troops captured Gerona, Spain. 23 Feb 1939 Spanish moderate, Colonel Segismundo Casado, the temporary XVIII Corps commander at the Battle of Brunete, staged an uprising against communist power and formed the Council of National Defence, hoping that Francisco Franco would be prepared to discuss terms with a fellow officer. This resolved into a civil war within a civil war, with over 1,000 deaths before the Casado faction gained the upper hand. 27 Feb 1939 The British and French governments recognised General Francisco Franco's regime in Spain. 28 Feb 1939 Manuel Azaña resigned from the post of President of the Republic of Spain. 4 Mar 1939 The failure of Dr. Negrin's Communist Government to sue for peace resulted in a civil war within a civil war on the streets of Madrid, Spain. The National Defence Council, led by Colonel Casada, triumphed in the struggle for control of the Republic and tried to negotiate peace terms with General Franco. In the meantime Dr. Negrin, accompanied by his Cabinet and Russian advisers, flew out of Madrid to safety. 28 Mar 1939 Francisco Franco's Nationalist forces occupied Madrid, Spain and declared victory in the Spanish Civil War. 29 Mar 1939 The besieged Republican garrison in Valencia, Spain surrender to the Nationalists, ending all hostilities in the country. Hi, I am a Spanish reader of your (wonderful) website, and I want to point out some incorrect information in this section about the Spanish Civil War: 1 [line 20]: The soviet military help to the Revolutionary government was much bigger in numbers and scale than the German and Italian one to the Nationalists (but it often was said the contrary for political and ideological reasons in the last three decades; there is a very intense and harmful debate between historians in Spain about this and other political topics, in which political interest provokes a lot of myths and lies). See (inter alia): RAMON SALAS LARRAZABAL (1981): Los datos exactos de la Guerra Civil Española. Madrid, Drácena. PIO MOA (2005): Los mitos de la Guerra Civil Española. Madrid, La Esfera de los Libros. There are more false information... but I don't want to multiply the criticism. In general, the text doesn't present any relevant or accurate information about the war itself; it only repeats British opinions on it (it's a common phenomenon). If you want, I could provide you better and more complete material in any sense. On 5 November 1937 no 35.000 republicans were killed at Piedrafita de Babia. In Piedrafita were kille 37 milicianos. The 35.000 you say are the total killed in Spain that are buried by the roads or so. In the Spaanish Civil War there were masacres: Badajoz, Paracuellos, Barcelona but not at Piedrafita.